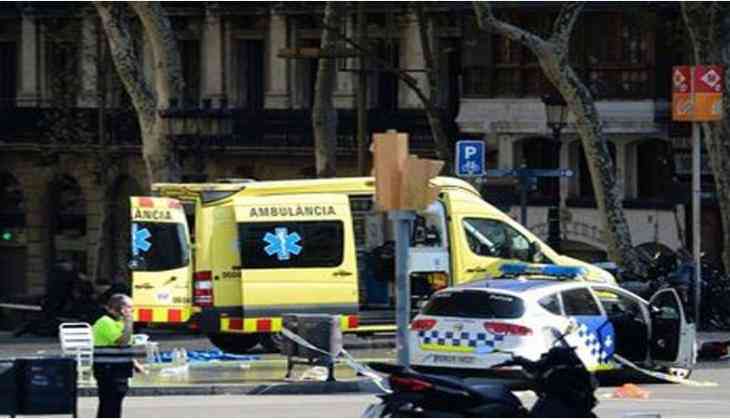 At least 13 persons have been killed and 50 injured after a van crashed into a crowd of people in Barcelona's Las Ramblas district. Police has confirmed the arrest of one man behind the incident and said they are treating it as a " terrorist attack". As per media reports, a Catalan government official has confirmed death of 13 persons in the incident on Twitter. Political leaders from around the world have begun issuing messages of support. US President Donald Trump tweeted, "The United States condemns the terror attack in Barcelona, Spain, and will do whatever is necessary to help. Be tough & strong, we love you!" Meanwhile, External Affairs Minister Sushma Swaraj has confirmed that there is no report of any Indian casualty in the attack. Indians, who are in an emergency, can contact the Indian embassy in Spain at +34-608769335. Facebook has also activated its safety check mechanism, allowing users near # Barcelona attack to mark themselves as safe.